Grippy in all conditions while staying pliable, these anti-slip reins feature stainless steel hardwa.. 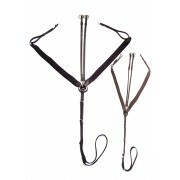 The Tekna® Breastplate features an adjustable, removable running martingale attachment and stainless.. The Tekna® Elastic Breastplate gives your horse more freedom of movement with elastic shoulder strap.. 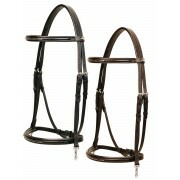 The Tekna® Fancy Stitched Endurance Bridle features a fancy stitched nose and brow, plus bit snaps, .. 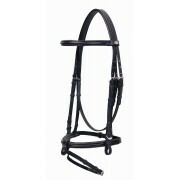 Simply but classically designed, the Tekna® Fancy Stitched Figure 8 Bridle features soft padding and.. 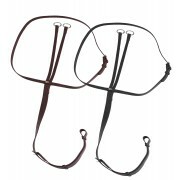 The Tekna® Fancy Stitched Snaffle Bridle features a fancy stitched brow and nose, with buckle end ch.. 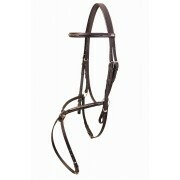 The Tekna® Hunter Bridle features lightly padded fancy stitched brow and nose, with hood stud end ch.. 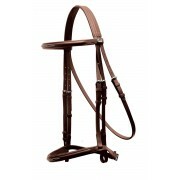 This Tekna® Padded Dressage Bridle features a softly padded brown and nose, with a removable flash a.. 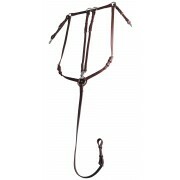 The Tekna® Running Martingale features stainless steel hardware and is made of QUIK-CLEAN material. .. 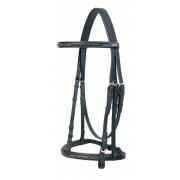 These snaffle reins are pliable without sacrificing feel. Features stainless steel hardware with bu..